Armin Robovich grew up in Yugoslavia (present day Bosnia and Herzegovina). In 1993, he moved to Germany with his wife and daughter. In 1998, they resettled in USA, moving to Phoenix, Arizona where they still live. 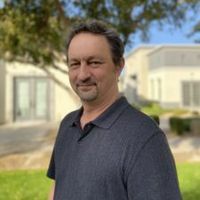 Throughout his life in USA, Armin has worked in Real Estate Industry (mostly in Residential Property Management), acquiring his Arizona Real Estate License in 2006. He also worked for a few years as a broker and dispatcher for small trucking brokerage based in Sun City, AZ. He has spent many, many years as a volunteer, helping others working with IRC. He began working for Good Neighbor Insurance in 2018 and is proud and honored to serve those making a difference in the lives of others.